Harald Enge was Professor Emeritus of Physics at the Massachusetts Institute of Technology (1955-2008). Other institutional affiliations included the University of Bergen (Norway). His research interests included magnetic spectroscopy and electron optics. September 28, 1920Birth, Fauske (Norway). 1947Obtained Engineering Diploma, Technical University of Norway (Norges tekniske høgskole), Trondheim (Norway). 1948 – 1955Research Associate and Lecturer, University of Bergen, Bergen (Norway). 1950 – 1951Staff Member, Department of Industrial Cooperation, Massachusetts Institute of Technology (MIT). 1954Obtained PhD in Physics, University of Bergen, Bergen (Norway). 1955 – 2008Instructor in Physics (1955-1956); Assistant Professor of Physics (1956-1959); Associate Professor of Physics (1959-1963); Professor of Physics (1963-1986); and Professor Emeritus of Physics (1986-2008), Massachusetts Institute of Technology (MIT), Cambridge (Mass.). 1984Awarded Tom W. Bonner Prize in Nuclear Physics, American Physical Society. Instructor in Physics; Assistant Professor of Physics; Associate Professor of Physics; Professor of Physics; and Professor Emeritus of Physics. Obtained PhD in Physics (1954). Research Associate and Lecturer. Received 1984 Tom W. Bonner Prize in Nuclear Physics. Harald A. Enge papers, 1950-1984. 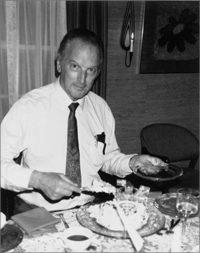 Oral history interview with Harald Anton Enge, 1987 August 6. William W. Buechner papers, 1928-1978. Introduction to atomic physics [by] Harald A. Enge, M. Russell Wehr [and] James A. Richards. Introduction to nuclear physics [by] Harald A. Enge.